No matter what the season is, we’ll always bask in the ease of slipping into a dress and looking instantly glam! If you’re a sucker for the one and done frock factor, then the Shop With Us team has spotted a Topshop design that’s the perfect alternative to your wrap or shirtdresses. Shop With Us: Hurry! These Adorable Ugg Sneaker Mules Are 60 Percent Off Right Now! 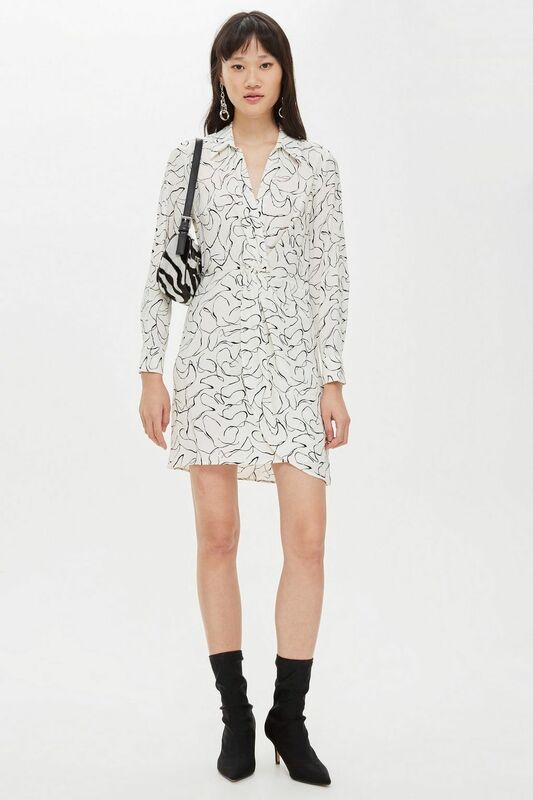 The Topshop Obsession Twist Minidress is all about simplicity with a beautiful, literal twist! Shop it here: Get the Topshop Obsession Twist Minidress for $75 while all sizes are in stock! Sizes range from 2 to 14, but certain sizes run larger or smaller, so you’ll want to pay extra attention to the style guide to secure the best fit. This is a dress you can mix and match easily with several accessories, shoes and outerwear pieces in your closet. Turn the look up with bold statement earrings and over-the-knee boots, or give it a casual flip with slip-on mules and a chill cardigan. See it: Get the Topshop Obsession Twist Minidress for $75 while all sizes are in stock! Also available at Topshop for $75 in the mustard and print options!